Card sorting is a tool to visualise and organise information in clusters. 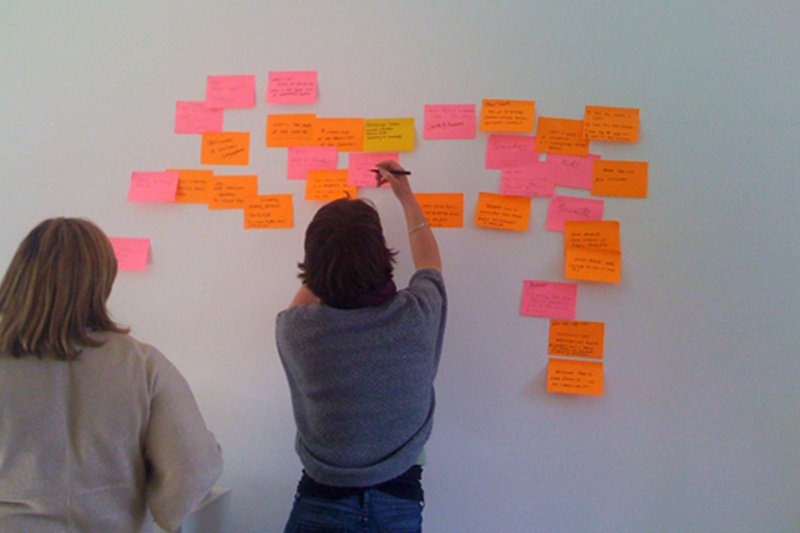 It is used during brainstorming session to develop ideas and in information architecture to organise content. It uses post-it (sometimes in different colours) as they allow to quickly move an information from a place to another. It can also be used in focus group to ask participants to organise information. Sometimes it could also use stickers to add information to a card (post-it).